COLOSTRUM NEW ZEALAND.COM: Alpha Lipid Colostem: the second generation. The clever scientists at New Image are always researching new products and looking to improve the formulations of existing products. No sooner had they launched the revolutionary Alpha Lipid Sleep Time when the announcement of Alpha Lipid Colostem was made. 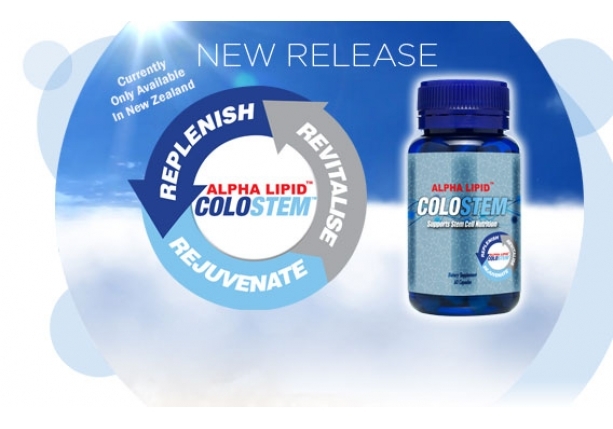 Colostem has been around for a while now and has proven very popular taken on its own or as part of the Stem Cell Stimulating Trilogy of Alpha Lipid Lifeline, Colostem and Cellworx. Through extensive research into the ability of products to naturally stimulate our own stem cells the old Colostem has been modified to be even more efficient. 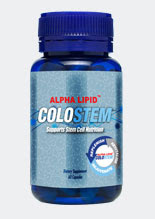 Alpha Lipid Colostem is the second generation supporting stem cell release and nutrition. Stem cells are the way of the future for maintaining good health and healing the body. Current research is showing that stimulating your own immune system to send your own stem cells to areas that need repair is an effective and efficient way to maintain quality of life. Growth factors in colostrum have been demonstrated to support the normal release and activation of adult stem cells. These cells can develop into many types of cells and go to where they are needed to heal the body. Adult Stem cells are important when we think about Anti Aging and degenerative conditions. 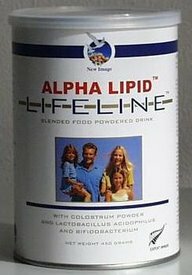 New Alpha Lipid Colostem supports stem cell nutrition and the stem cell cascade. That is the ability of stem cells to activate, specialise and regenerate. This living product stimulates immunity and helps maintain good gut health. GALT (the gut associated lymphatic system houses 70% of the body's immune cells). This new formulation helps stimulate not only the number of stem cells but also the activity of the cells. Very favourable comparisons with other products claiming to stimulate stem cells has reinforced the findings that this new generation products is the one to watch.....and use of course. Sourced from Nature. Enhanced by Science. Intelligent Nutrition.